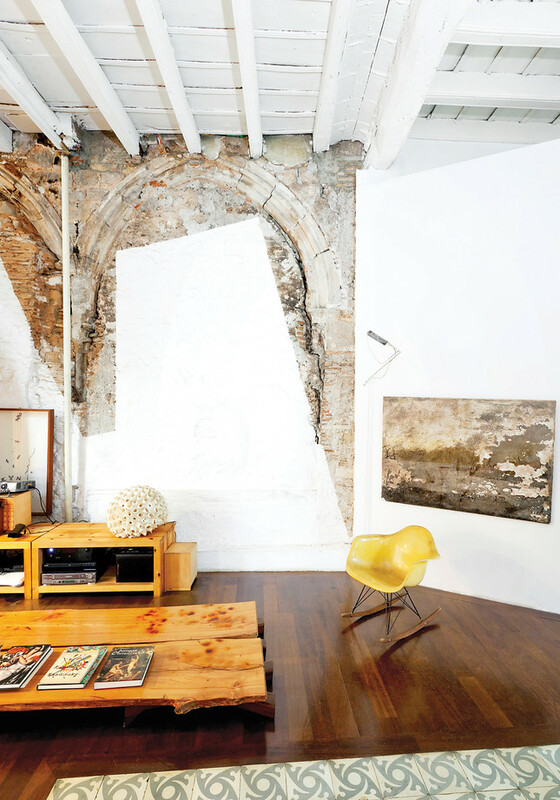 i'm loving this space, part of an 18th century old flat remodeled by architect benedetta tagliabue. she had the crew stop whilst working and leave this amazing celebration of the old structure and the new. "No sketches or models were devised; nor was there a master plan of the type so popular for signature residences by many architects of their caliber. As Tagliabue has stated, the house itself, and its history, steered the direction of the works. "